In celebration of the 20th anniversary of Rev. Amy DeLong’s ordination, we are launching a $20,000 campaign to fund the ongoing, prophetic work of Love Prevails. In one year (from June, 2017 – June, 2018), we hope to meet this ambitious goal, which will enable us to arrive at General Conferences 2019 and 2020 fully-funded and ready to make trouble for the sake of Gospel-inclusion. Love Prevails is a 501(c)3. Print Poster for use at churches, conferences, etc. The United Methodist Church’s decades-long attempt to silence our voices and to destroy our community and culture have proven that LGBTQ lives are not valued in the least. For 45 years, LGBTQ people and our allies have made countless theologically sophisticated and cogent arguments about why church-perpetuated and church-sanctioned injustice against LGBTQ people makes a mockery of God and the Gospel – and we will not rehearse that again in this suffocating and duplicitous context. The only proper and Christian corrective to the unjust and prejudicial treatment our people have received at the hands of the United Methodist Church is the full and complete removal of all language in the Book of Discipline which categorically discriminates against LGBTQ people. When, and only when, that is accomplished will we be able to move forward as equal and valued members of the Body of Christ. May the Holy Spirit frustrate your attempts to use LGBTQ people as a bargaining chip toward some imaginary level of acceptable discrimination and exclusion. 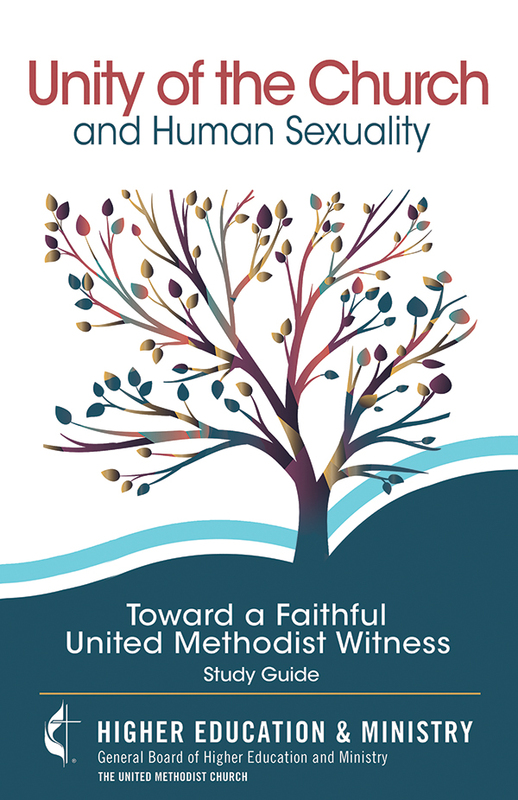 Love Prevails has reviewed the study guide, “Unity of the Church and Human Sexuality: Toward a Faithful United Methodist Witness”, and found it wanting in the usual institutional ways. The guide describes itself as a resource that “addresses how the church can be a witness and provide for a diversified human community.” We know from years of experience that such common code language as, “diversified human community” and “human sexuality” refers to LGBTQ lives. Trying to find a middle ground where LGBTQ persons and those who would discriminate against them can live in unity is not helped by using coded language – and is predicated on the false notion that categorical discrimination can be part of a “faithful witness” and that such inequity has an accepted home within the Body of Christ. This assumption becomes clear from page 1 when the authors admit that they have chosen not to honor the LGBTQ community by using their preferred, self-identifying language, but have instead chosen to use the language of the oppressor. “…the issues at hand involve inclusion of particular groups of people. Even naming some of these groups, however, is fraught with difficulty; for the sake of this guide, we shall refer to these people in the same manner as does our Book of Discipline” [emphasis added]. The Book of Discipline is based on language, concepts, and stereotypes of the 1970’s which continues to keep LGBTQ people from sharing the fullness of their lives, loves, experience of God’s grace, and gifts for all forms of ministry. The guide does nothing to clarify the reality of people’s LGBTQ lives and the political power to discriminate against those lives in our denomination. The audience for this study seems to be some theoretical moderate middle still able to “think intellectually” about an emotional and unthinking corporate prejudice. The guide at least admits that it will not be read by those who have already made up their minds about the way forward. Yet, while recognizing that there are those who will not deal with LGBTQ people and their real lives, the guide still maintains the fallacy of neutrality by claiming an unbiased position while simultaneously engaging in an unbalanced conversation that privileges the oppressors’ language and misleading justifications (The Book of Discipline) against LGBTQ people who have not been invited to participate openly in the discussion. There is nothing here to assist General Conference to repent its almost 50 years of false claim that LTBTQ people are incompatible with Christ’s Way. In the end, any of the guide’s pro-LGBTQ implications are easy to avoid because the style of the book is so passive. Like the Commission itself and the Colloquy upon which this study is predicated, this guide makes no contribution to a way forward. It simply offers a desensitization and normalization process to provide institutional legitimacy for those who desire to continue oppressing LGBTQ United Methodists. It would have been better not to waste people’s time and the earth’s resources on something that contributes nothing but a tired attempt to bring something new by using the same old categorization of vibrant and amazing people of faith. To expect the same starting point to provide a different outcome is hostile: The United Methodist hate machine rolls on, projecting harm toward LGBTQ people.